After missing several tentative deadlines, the AirPods 2 and AirPower wireless charger are heading your way – and Apple may introduce them by as early as this Spring. As reported by MySmartPrice, the long-awaited wireless charger from Apple will be announced in the next couple of months, while the AirPods 2 will make their debut later this year. Sadly, there’s nothing specific beyond these vague timeframes for either product. 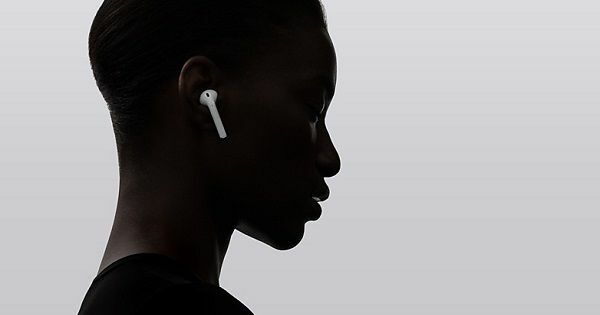 The report claims that the AirPods 2 will look identical to the first-gen AirPods that were announced in 2017. However, they are tipped to offer a better grip with a new coating, inspired by Google Pixel smartphones. Coming to the specifications, a Bluetooth certification listing last year has revealed the AirPods 2 with a newer Bluetooth 5.0 Low Energy standard. The next-gen Apple earphones are also expected to pack a host of sensors, including a heart rate monitor. The battery on the new AirPods is likely to be more or less similar to their predecessors’. Lastly, AirPods 2 could be priced at around $200 (~Rs 14,250) and will be available in black and white shades. AirPower is the first wireless charger from Apple. It was teased way back in 2017 at the iPhone X and iPhone 8 launch event. The dock could see the light of day in the next couple of months, and it’s reported that the Cupertino-based firm could also launch a wireless charging case for first-gen AirPods alongside. The battery inside the wireless charging case will be slightly smaller in capacity compared to the current AirPods charging case. Coming back to AirPower, it’s tipped to be slightly thicker than was previously expected because of the 8-7-7 coil configuration. The upcoming iOS 13 software will reportedly come with a few “exclusive features” for the AirPower. As for the price, the AirPower could set you back to $150 that roughly translates to Rs 10,700 in Indian currency.